As you begin to take control of your inbox, differentiate between people who send you emails and companies that send you advertising. People have feelings. They are waiting on a response from you. While you don’t need to (and shouldn’t) respond the second their email hits your inbox, you do owe them a read, and often a reply. These replies can usually wait, though. By waiting several hours, and even a day or two to respond, you can change people’s expectations of you. As a society, we have become so used to an immediate response that we forget we aren’t the center of the universe. People have meetings, appointments, and even naps to take. As you take control of your inbox, you will see that an email can usually wait a while. If you let the email sit in your inbox for a day, you can also formulate a more thoughtful answer, rather than a hurried one. Newsletters, sale notices, and reminders that your subscription is about to expire are all the same thing: advertising. You don’t owe an advertiser anything. The best way to take control of your inbox is to ask yourself if you really benefit from what they are sending (not what they are selling, but what they are sending). You may love their product. That doesn’t mean you need their sales reps clogging your inbox. If their emails aren’t making your life better, unsubscribe. Just drop to the bottom of their email and click the hyperlinked “unsubscribe.” You can even let them know why you have chosen to do so. You don’t need to, though. 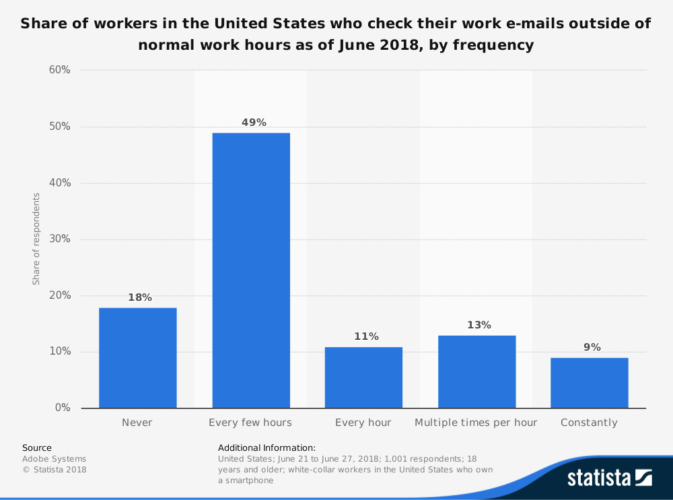 It may take a few days, but you will soon be receiving less email. And don’t worry, you can always re-subscribe if you wish. Another important thing to consider as you take control of your inbox is the difference between a reputable company and a spammer. A reputable company will only send you advertising if they have done business with you or you have somehow signed up for their emails. Spammers send emails willy-nilly to everyone they can. Spammers don’t follow the rules when it comes to unsubscribing. They often take that click as an indication that you are willing to open their email, so they will persist in sending more. For these special people, don’t even bother opening the message. Just send it straight to the spam folder. As you take control of your inbox, it is advantageous to have a good spam filter that will do the job for you. Block out time to reply to email twice (or 3 times) a day. Choose how much time you want to devote to email and schedule it, like any other appointment. I like the hours of noon and 9 PM. This allows me to get some writing done before getting distracted by the beck and call of email. Noon is early enough in the day that no one worries they are being ignored. Then, I can respond at 9 pm to anything that slipped through the cracks that day. If I went to bed earlier, I would move that time up, but I don’t go to bed until late. You can use an autoresponder if you want to let people know why you are no longer instantly responding to their email. I tried this last year and found that it was more hassle than it was worth. There is nothing in my life that can’t wait a few hours. For any email that will take less than 2 minutes to deal with, “do it or dump it.” Take control of your inbox by responding to, unsubscribing, or deleting it. Create a folder system for important emails you need to save so that you can easily refer to them later. I facilitate a caregiver support group for Jack’s Caregiver Coalition. I save every email because often several people are cc’d and I need to refresh my memory about the conversations or email addresses. I use this folder system a lot. By using care when you email others, you will cut down of the amount of email you get in response, and increase the quality of what you do receive. For that reason, never send an email unless you have to. When you do, keep it short and simple. You will be able to respond much faster and the recipients will appreciate your brevity. As a bonus, when they respond, they will often follow suit and keep their emails short. It is particularity helpful if you only cover one topic per email and if you format your messages with bullet points so that nothing important gets missed. Always take advantage of the subject line to help the recipient know what your email is about. They will be more likely to open it. If the subject changes in the back and forth of an email “conversation,” change the subject line to comply. I hope these ideas will inspire you to take control of your inbox, minimize the negative impact of email, while still enjoying its positive attributes. While you’re at it, consider taking some time off from your digital life. I will be minimizing my technology use during the month of January, but if you’re still online, please leave a comment about your favorite way to control your inbox. Really good suggestions. I regularly prune my inbox, eliminate subscriptions I no longer want or didn’t work out. I still get a couple hundred a day. Too much! hi Jacqui. You’re pretty popular! It’s a constant battle to keep an inbox under control, but it’s so nice once you feel like you have it tamed. I have a couple different email addresses. (Well, five. That’s a story…) One is only for online shopping. So, all my shopping emails go there. I don’t unsubscribe, because they send nice discounts. But I only care about the discounts when I want to buy from them. It’s really easy to just delete all emails from that one account. I don’t even look at them unless I’m shopping. Hi Liz, I, too, have multiple email addresses because one is for Real Estate (I’m a Realtor), one is an old email that I had prior to beginning my writing business, and one is my author email. I forward all email to my author address so nothing gets missed. I hate having to switch between accounts. Gmail has made this easier now. Thank you, Gmail!